Alfred Browning Parker began his career and ended it at the University of Florida. In 1991 he closed his architecture office in Miami and returned to the school which graduated him in 1939. He became a professor, at age 75, at the University of Florida, School of Architecture. 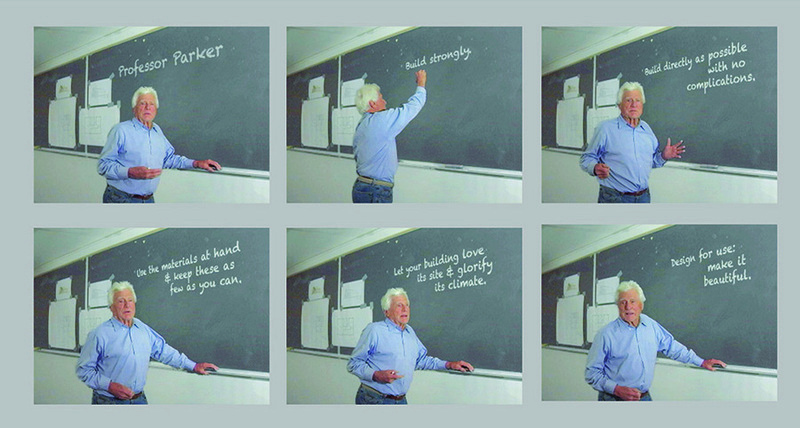 In part 1 of 10 Things To Love we will see Professor Parker at the black board describing his five principles of building. Build as directly as possible with no complications. Use the materials at hand and keep these as few as you can. Let your building love its site and glorify its climate. Design for use, make it beautiful.